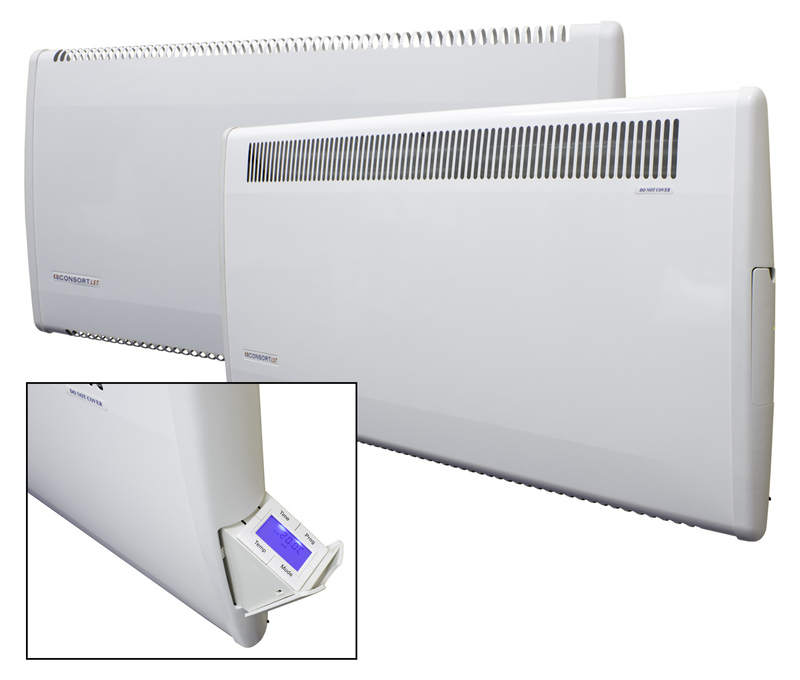 Consort has introduced new low surface temperature heaters with a digital heating control which offers a 7-day programme with 3 heating periods per day. The concealed digital control located on the side of the heater includes an easy-to-read display, four large control buttons with audible and tactile feedback and an electronic lock to prevent tampering with the controls. These heaters comply with NHS Estates Health Guidance Notes with a maximum surface temperature of 43°C, making them perfect for environments with vulnerable people such as children and elderly residents. The PLSTiE models are equipped with intelligent fan control which detects the temperature in the environment and automatically adjusts its fan speed to quickly achieve a warm airflow temperature. This allows the heaters to immediately blow hot air, even when initially powered on in a very cold room, for the user’s comfort. For more details on Consort Claudgen’s LSTE and PLSTiE models, visit www.consortepl.com or contact Sales at 01646 692172.